We all have at least one person in our lives who leaves us drawing a blank when it comes to giving them gifts. Maybe it’s a friend who seems to already have everything, or a relative who has very discriminating tastes. Every Christmas and birthday we brainstorm, searching catalogs, stores and websites for a gift that will be meaningful, appreciated and actually used. This year, save yourself some trouble and get your friend or family member custom cushions for Christmas! Delight her sense of style by providing high-quality cushions made in America with trendy fabrics. She’ll love the unique quality of your gift, and she’ll think of you all year long as she lounges on her beautiful cushions. In order to surprise your friend, you’ll have to be sneaky, but it’ll be fun — and worth it! However, it’s best to choose a simple piece of furniture to outfit with a new cushion, such as an entryway bench, a rectangular window seat, dining chairs or patio furniture. Unless you’re lucky enough to have access to her home when she’s not there (without breaking any laws! 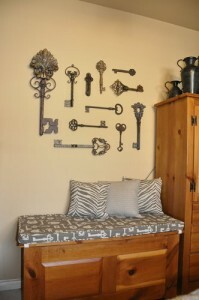 ), save the complicated double chaise lounge or unique-shaped wicker furniture for later. After she’s fallen in love with the gift, you can enlighten her on how easy it is to outfit the rest of her home with custom cushions from Cushion Source. No more sneaking and hiding — and a bonus: She’ll have you to help her measure and decide on fabrics! 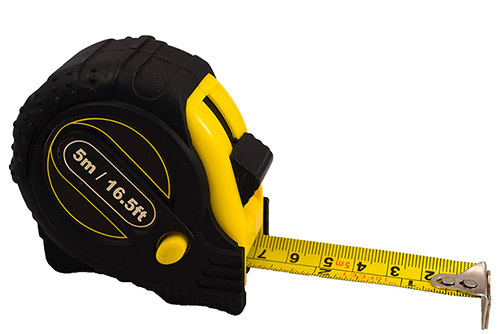 You must have a tape measure close at hand to measure for your friend’s custom gifts. But how do I know what size she needs? Get into her house – without getting the cops called. Whether it’s under the guise of dropping off a fresh pumpkin pie, or it’s your weekly get-together to gab about the latest TV shows, the first step of your mission will be to get into your friend’s home. Be sure to bring along your measuring tape, a pen and paper, and a friend to help you distract the gift recipient. Distract her with a mission – or wine. Ask her for some freshly brewed tea or coffee, or bring a bottle of wine and ask her to open it for everyone to share. Ask her for that recipe you’ve been meaning to try. Ask to borrow a scarf. Whatever you do, get yourself alone in the room with the furniture piece. Measure her furniture piece – hurry, but get it right. 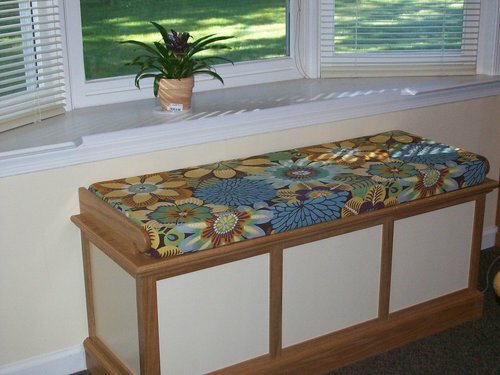 You can get the job done in 10 minutes or less for a basic piece of furniture. If you don’t get the full measurements when she leaves the room to open the bottle of wine, you can finish the task in steps each time she leaves the room to refill glasses or bring out dessert. 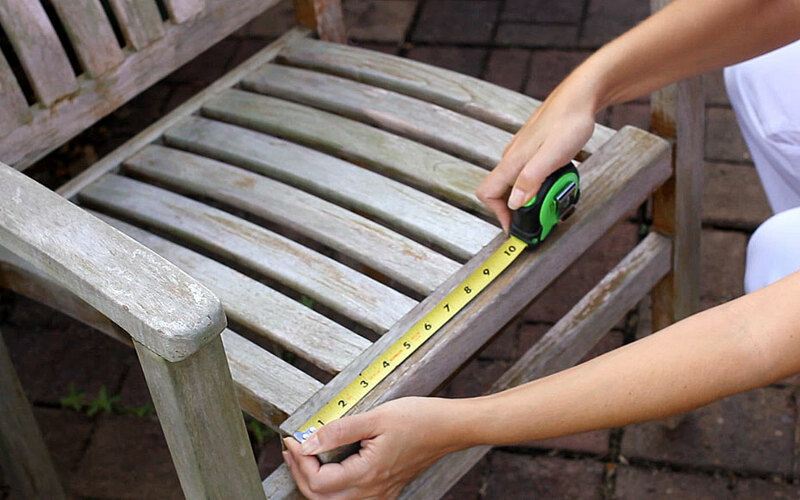 Here are the basic instructions when measuring for a bench, chair seat or window seat, but follow the instructions on the Cushion Source measuring guidesto get the proper dimensions for your friend’s specific furniture. 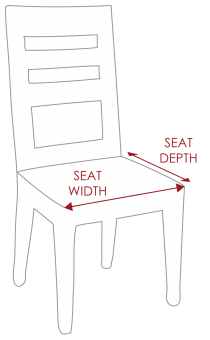 Measure the width of the seat. This is the measurement from left to right. Write down this measurement. Measure the dimension again to make sure it’s correct. Measure the depth of the seat, or from front to back. Write down this measurement. Measure again to confirm the size. Keep in mind: Measure inside the arm rests, if the furniture has any. Basically, measure where the cushion will sit, not the size of the furniture itself. Also, you will need to round to the nearest half inch when placing your Cushion Source order, so observe the furniture and its measurements to decide whether to round up or down. You may not get a chance to come back to your friend’s house before the holidays in order to look again! Now that the measurements are safely tucked into your purse, it’s time to use the rest of your get-together to evaluate your surroundings so you can make informative decisions during the ordering process. Have another glass of wine, and get chatty. And how do I pick a fabric she’ll like? Fabric preferences vary for everyone, so this is a risk you’ll have to take when buying a cushion for a friend. However, there are many clues in your friend’s home that can help you make the right decision. Look around the room where the furniture sits and ask yourself a few questions. If possible, also work some of these topics into the conversation! Does she have a favorite color (or color family)? Notice how colors complement each other in her home. If you know she likes blue, think about what shade of blue would fit the room best. Does she decorate in natural colors, bright tones, or muted tones? Sometimes this is the best way to get ideas about her style. Is she a fan of trendy patterns? You don’t want to overwhelm the room with patterns, but you might be able to note her love of chevron prints and bring that into the style of her cushions, as long as it will complement well. Lastly, think about how often she redecorates. Some people decorate by the season, while others create a scene and stick with it. This will come into play as you are choosing fabrics. 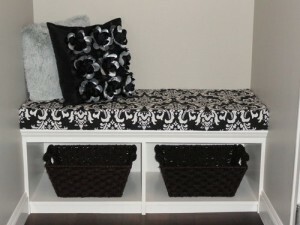 If she’s not one to change her decor often, you might want to stay away from trendy fabric and stick to a basic solid. However, if her decor changes with the weather, you might consider a neutral shade that won’t clash with next season’s design. A custom gift doesn’t have to bring a lot of stress. Lean on basic color options to create a scene she’ll love! When the rest of the room is in muted, natural tones, floral prints can really shine and add a pop of color to the room. If your friend likes trendy fabrics or has a dedicated color scheme, you can choose one of Cushion Source’s many new patterns to add a bit more pizzazz to the room. 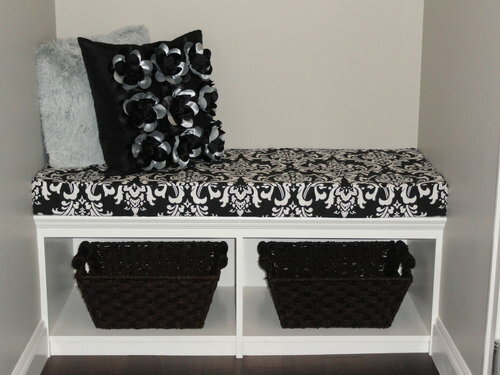 Black and white contrasts are tried-and-true and fit in with many modern designs. When your friend has a theme to her decor, whether its trendy owls, English charm or vintage keys (pictured), choosing the right fabric for custom gifts can be easy! When looking around your friend’s home, take note of any themes to the design, even in small areas of a room. It’s a clue of what she loves and values, or it could be a tribute to memories of days past. Now, which thickness is best? This is probably the easiest question to answer. Depending on the application of the cushion, Cushion Source’s most popular cushion thickness is 3 inches. If you’d like to give your friend a little extra comfort, add an inch or two. 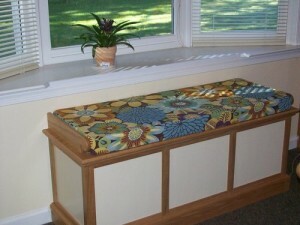 If the furniture isn’t used often, you can have her cushion made as little as 2 inches thick. As a general rule, the thicker the cushion, the more comfortable it will be for a longer period of time. When you’re placing the order for your friend’s custom gift, you’ll also need to choose a few more details. Welting: An option that’s completely up to the customer, welting (sometimes called piping or cording) provides an extra element of style. If you choose to add welting to your friend’s cushion, our fabric tool will show you many coordinating fabrics that will match the cushion’s main fabric. Or, choose to use the same fabric for welting for a sleek look. Filling: Will the cushion be used indoors or outdoors? Foam is best-suited for indoor use and will last longer than our outdoor filling, CumuPlush. However, if it will be used outdoors, you definitely need the outdoor filling. 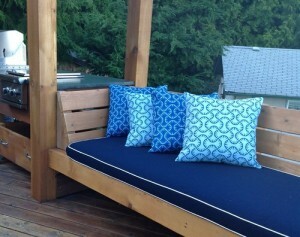 A third option, which is only on “deluxe comfort” cushions for indoors and outdoors, is foam wrapped in batting. This creates a crowning effect which is very elegant. Ties: You can choose the location of ties — or not to have them at all — depending on how the cushion will sit on the furniture. Usually, benches and chairs need ties but generally window seats do not. Now it’s time to place the order. Your friend will love her custom gifts! Use Cushion Source’s fabric visualization tool to get an idea of how the cushion will look. You can switch up fabrics in order to see what each shade will look like when used on a cushion. From order to production, Cushion Source’s custom orders ship within just 15 business days. If you can’t work out the logistics of measuring your friend’s furniture — or if she lives out of town — there are still options for you to be able to give her custom gifts she’ll absolutely love. No need to get precise measurements! Custom throw pillows can be made to any size and with any fabric. Choose fringes or buttons or designer-style flange to treat your friend to a plush custom gift without the hassle of measuring furniture. 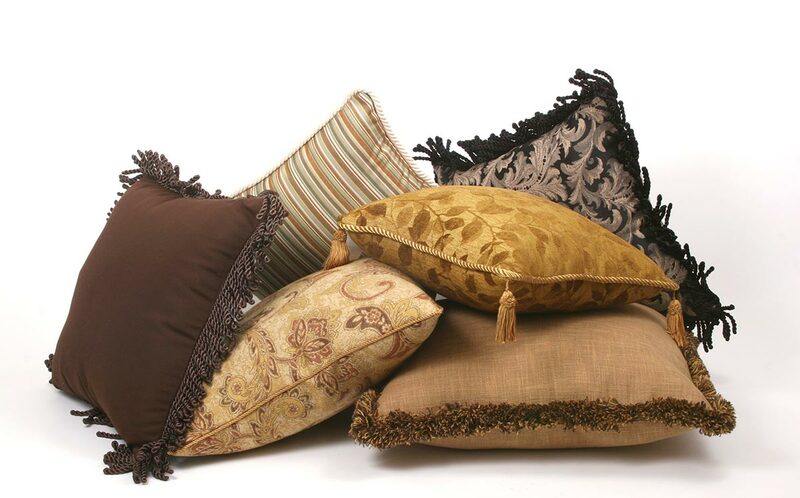 Our most common throw pillow size is 18″ X 18″. We also offer bolster pillows, round pillows and designer duvet pillows that are stylish decor treats! You don’t have to worry much about sizes when giving custom throw pillows. Just pick your fabric and fringe, and you’re all set! The most popular throw pillow size is 18″ X 18″. 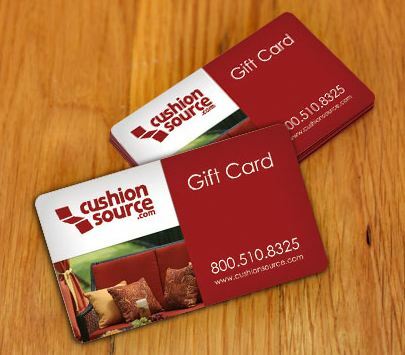 If you’re bewildered about furniture size and fabric choice, you can’t lose when you buy a Cushion Source gift card for your friend or family member. These credit card-style gift cards are easy to wrap and give and will always be appreciated. Always the right size and fabric, Cushion Source gift cards are a great fallback plan if you’re still unsure about measuring, or if your friend lives out of town. Cushion Source gift cards are available in four amounts, starting at $25. Gift the gift of custom style! Now that you know all the secrets to giving a custom gift, go ahead and make that phone call to your friend to arrange a girl’s night — at her place, of course! You have a mission to accomplish! 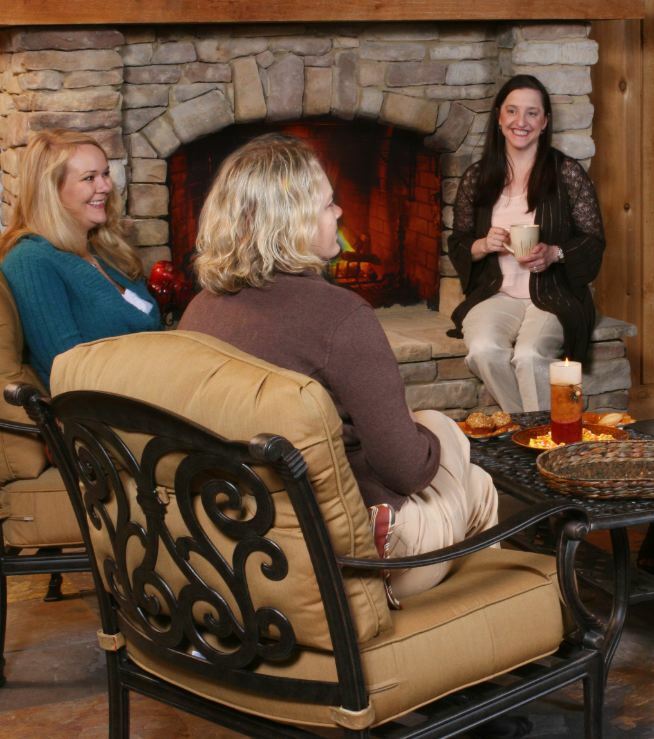 Grab a mutual friend and plan an afternoon get-together, with the ulterior motive of measuring her furniture for her custom gift in time for Christmas! Alicia Andrews is the marketing manager for Cushion Source. She has played a key role in developing easy-to-understand, step-by-step measuring guides for Cushion Source customers.